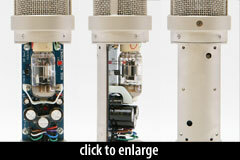 The NTK is a transformerless tube microphone, with Rode’s proprietary “HF2” edge-terminated capsule. The output stage of the mic — unusually for a tube microphone, in our experience — uses bipolar transistors rather than a bobbin transformer. We speculate that this reduces distortion as compared to a transformer-coupled design. The tube is reportedly a hand-selected Sovtek 6922. The NTK comes with a dedicated power supply, stand mount, zip pouch and a 30' power cable. 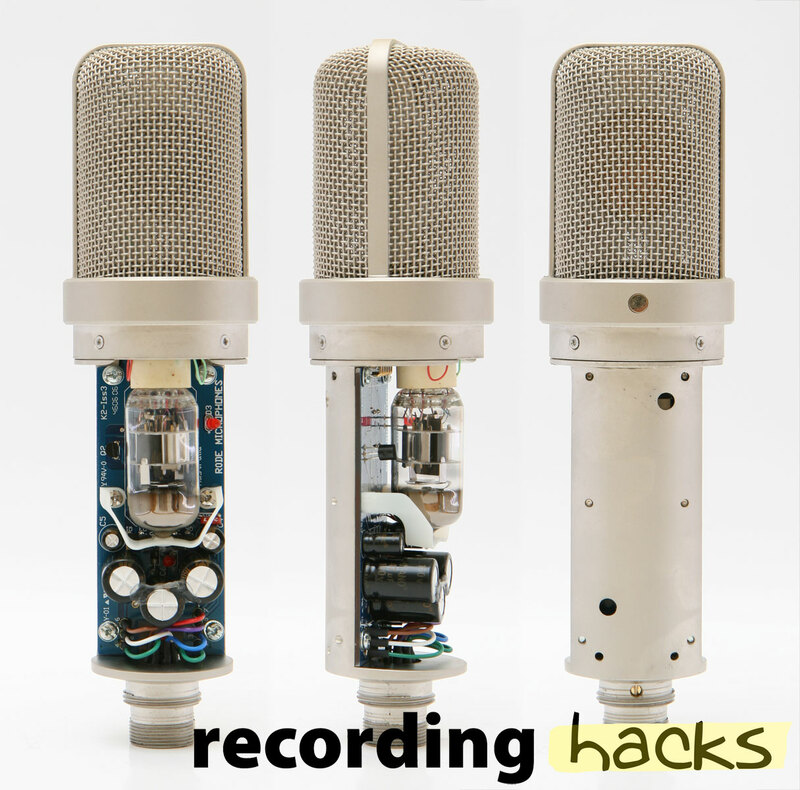 From the outset, the NTK is a lovely mic to handle and is obviously beautifully and robustly engineered. And as for the sound — it’s one of those mics that you only have to speak into to know that it’s going to be good. Smoothness, purity and immediacy are three words that instantly spring to mind. Though it has what seems to be a natural quality, there’s some subtle enhancement going on. If I had to pick a single word for the NTK, it would be smooth. Actually, smo-o-o-o-o-o-v. I would love to hear Barry White through this microphone. Hell, I sound like Barry White through this microphone. I love the NTK. Like the best of tube microphones, it has a sound — call it character, attitude, or what have you — that is musical to the ears. The mic’s gentle presence boost makes just about everything sound good, especially vocals, and the tone really blossoms as you hit the capsule with more level. The NTK not only sounds great but also is quiet and can handle a lot of level. Moreover, the NTK is clearly built to withstand a lot of use. My guess is that it will still sound great 40 years from now.